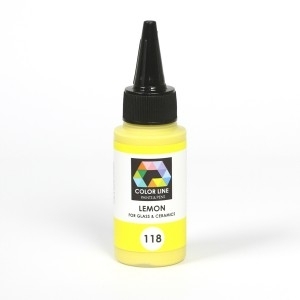 Our Products >> 118-Color Line Pen,Lemon 2.2oz. Lemon is a color somewhat resembling yellow and named after the lemon fruit. The color lemon is a representation of the color of the outer skin of a lemon. Sometimes the color lemon yellow is misinterpreted as a neon color The first recorded use of lemon as a color name in English was in 1598.